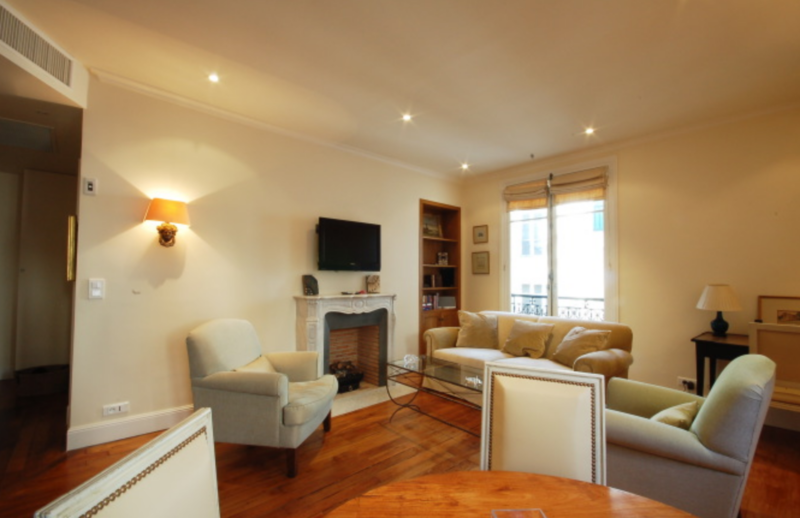 Situated in the heart of the Marais, between the Pompidou Centre and the Rue des Archives, this beautiful apartment is ideally located for exploring Paris. The neighborhood has everything a guest needs. There are tons of bars, restaurants, cafes, and a superb selection of local food shops. The metro line 11 is 200 metres away while the RER and many other metro lines a 10 minute walk away at the renovated Les Halles complex. 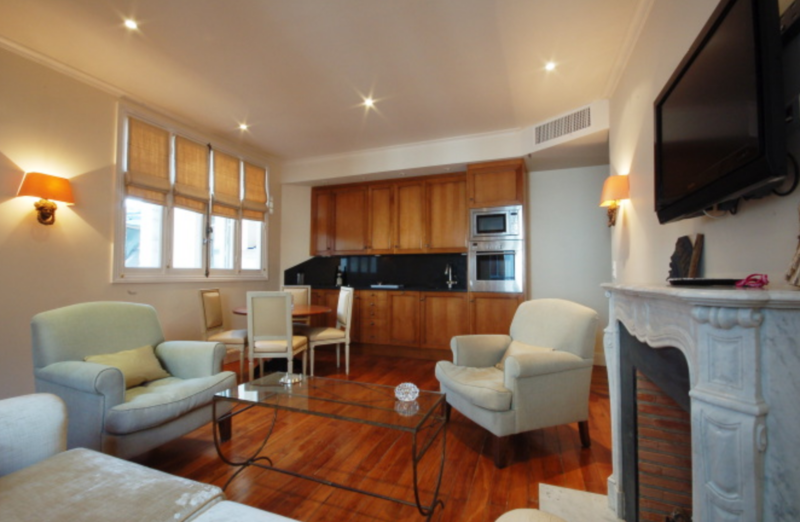 This apartment is located on the 4th floor of a grand late 19th century building complete with elevator and on site gardienne. The apartment itself is located between two internal courtyards, so while guests are in the middle of the city, they will be in absolute calm at night. 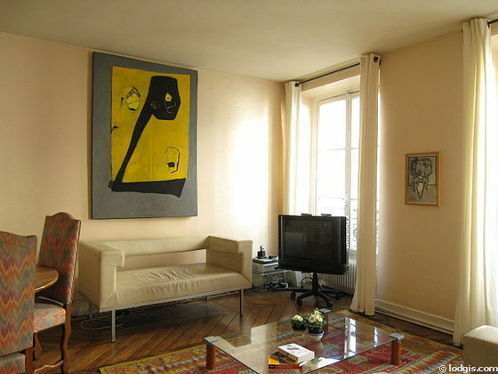 The apartment is also equipped with air conditioning, a rarity in Paris! 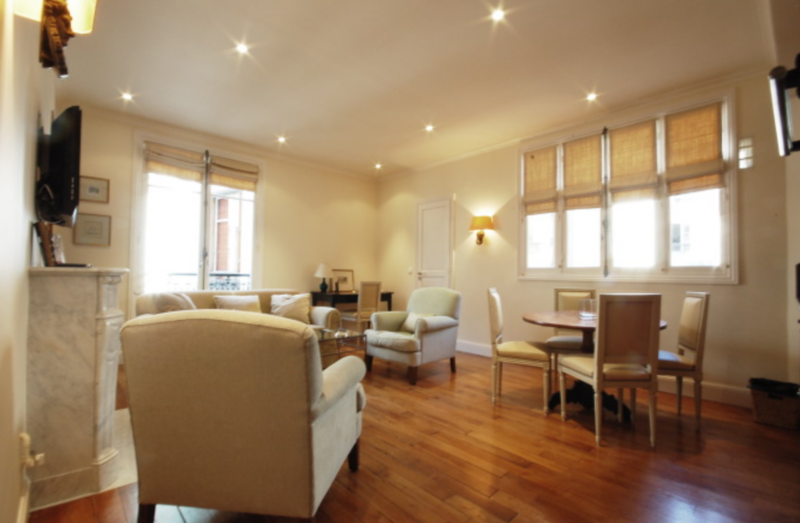 Guests are greeted when they arrive by the open living and kitchen area complete with beautiful parquet flooring. There is a comfortable sofa bed for one person and two arm chairs as well as a desk and dining room table for four. The kitchen is open to the living room and has a chic marble counter top and all appliances needed to prepare a meal and entertain. 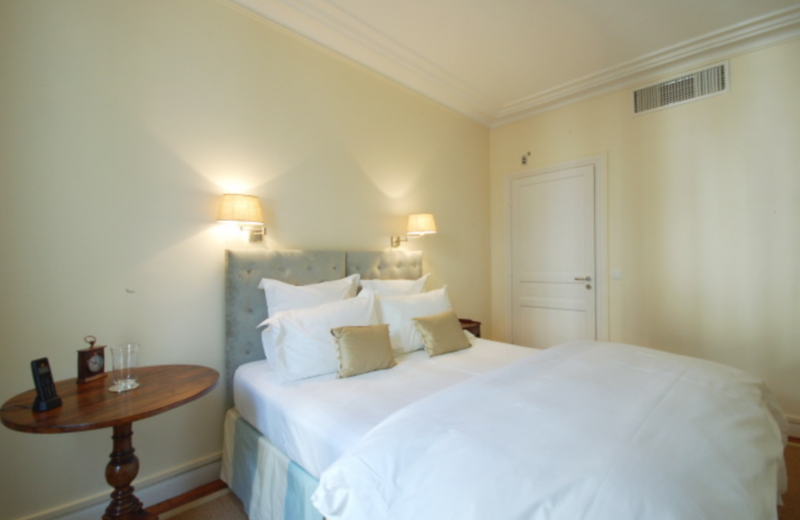 The double bedroom is accessed from the entrance hall, and has been tastefully decorated in soft blues and cream. There is a queen bed, ample wardrobe space, and a flat screen TV / DVD. The bedroom is on one of the internal courtyards and has black out curtains to ensure a peaceful night. 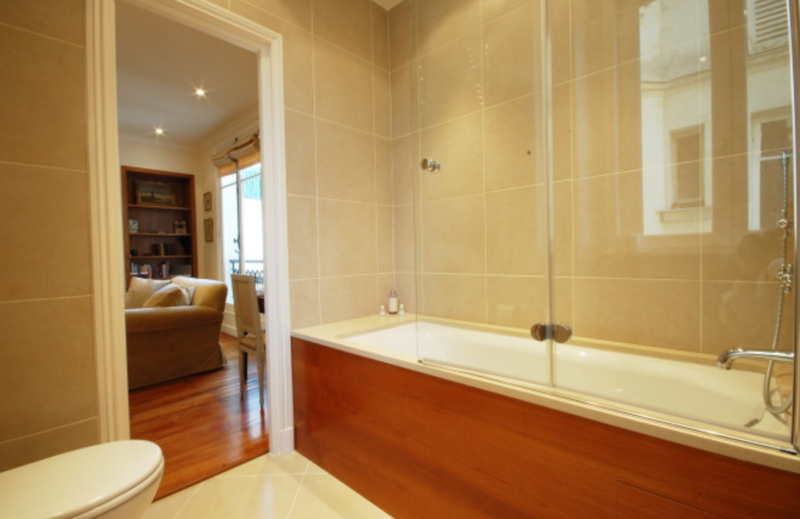 Finally, the bathroom found off the living room is decorated with teak and has a bathtub/ shower and large vanity. 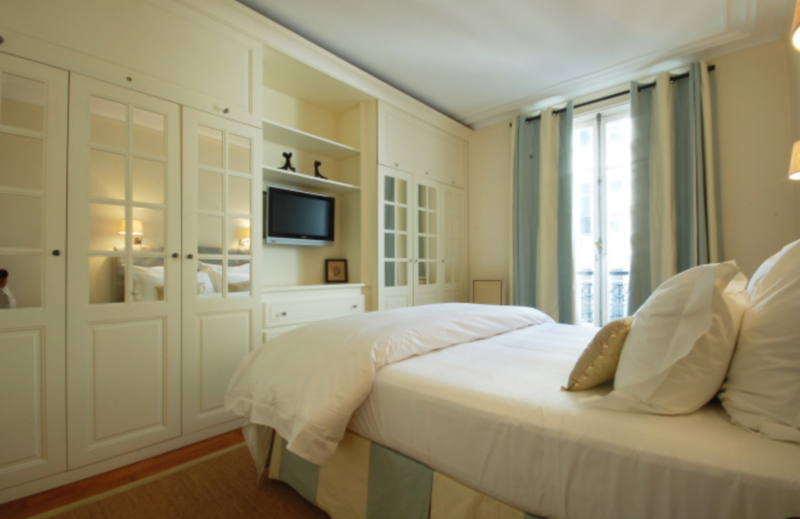 This apartment gives you the best of both worlds, being in the middle of Paris while being away from the hustle and bustle in your home away from home.